The Federal Reserve’s extraordinary intervention to underwrite JP Morgan’s $2 per share takeover of Bear Stearns saved Wall Street from a mauling Monday, as stock markets elsewhere across the globe sold off on news of the collapse of one of Wall Street’s premier financial institutions. Stock markets have rebounded in a major way Tuesday as investors are confident the Fed will slash the Fed Funds rate this evening, by 100 basis points. Anything less could prove to be a disappointment and might lead to a sharp sell-off of stocks. Inflation control and the dollar have taken a back seat as the Fed puts all its focus and basis points into salvaging a failing economy. There has been heightened speculation of possible intervention in the FX markets to curb the dollar’s sharp demise but so far there has been little in the way of concern voiced from the ECB and the Fed or US Administration, which might suggest any intervention is imminent. The dollar plummeted to record lows across the board Monday with the euro hitting 1.59, the Swiss franc appreciating above parity and the yen hitting a 13 year high. Those holding dollars or dollar denominated assets will likely be forced to watch their investments whittle away further before any coordinated action takes place. With no peak yet confirmed and the euro striking fresh highs almost every day, in view of today’s downside risks to the dollar, there is little reason to believe the tide is about to turn just yet. 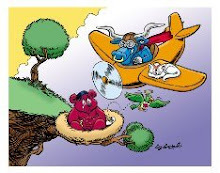 All the technical indicators point to the pair being massively overbought and a significant dollar correction is overdue, but sentiment is the overriding factor right now and traders are running scared of the US dollar and rallies by the US currency are not allowed to gain any momentum and generally lead to sharp retaliation attacks on the other side. The euro has gained 9 cents in the 3 weeks, since it first breached the lifetime high set in November last and it is currently on the sharpest incline rally in the currency’s history. The fundamentals don’t offer any comfort for the dollar and with interest rate differentials set to widen to 2% today, after the Fed’s latest policy decision, a rise to 1.60 looks unstoppable, unless there is some sort of orchestrated intervention by Central Banks. With volatility levels at extreme levels, 1.60 could be struck today or tomorrow. Traders need to be on the lookout for a possible sharp correction lower, which could occur at any time, especially if there is some signal from the Fed that the cycle of rate cuts is at an end. Short stops are unlikely to work today as volatility levels are liable to increase dramatically around the time of the Fed’s rate announcement at 18:15 GMT. US producer prices rose by the fastest level in over a year in February, while housing starts declined by more than expected last month, underlining the fact the housing sector crisis has still to hit a bottom. Strategy: Stay out of market Tuesday and await sell down correction opportunity. Cable bounced back nicely today as UK inflation in February printed at 2.5%, up from 2.2% in January. This has pared back expectations for aggressive rate cuts from the Bank of England and has helped sterling make long overdue gains against the euro, Swiss franc and yen, as well as the dollar. The Bank of England was forced on Monday to inject extra liquidity into the system as the global credit crisis threatened to destabilise the British financial system. The UK economy’s reliance on Financial Institutions coupled with a growing housing crisis is likely to limit any bounce in sterling, although a return of risk tolerance and corrections in the yen and Swiss franc will tend to benefit the pound in the short-term. Cable could retest the year’s high at 2.0395 later today or tomorrow, if the dollar comes under pressure after the Fed rate announcement. It is best to wait until the aftermath of today’s Fed before entering sterling shorts again. Strategy: wait! The yen has been in retreat mode for the past 24 hours as market fear is replaced by risk-taking in the build-up to this evening’s fed rate decision. The dollar is trading 2.5 yen above the 13-year record set Monday at 95.78. The dollar could go higher if risk tolerance levels intensify, although a 1% cut in US interest rates would see the rate differential dwindle to a mere 1.5% and greatly reduce the yield benefit of being long on USD/JPY. The yen has faltered badly against the euro and all the high yielders Tuesday as the carry trade stages something of a comeback. The yen’s immediate fate depends on market reaction to tonight’s fed rate announcement and how stock markets fare Wednesday, once the initial impact has passed. Yen selling on a positional basis is dangerous because of the ongoing stresses in financial markets, although there may well be value in being short on the yen against the Aussie and Kiwi dollars over the next 24 hours. The loonie has remained in the 0.98 to 1.00 range again thus far this week, although the greenback did penetrate the parity line briefly Monday. The loonie was undermined by a fall in commodity prices Monday and a general rise in risk aversion which hampered all of the commodity currencies. Today saw the release of February’s inflation report and although the core rate crept up to 1.5%, the headline rate fell to 1.8% from 2.2% and the numbers will permit the Bank of Canada to continue with its easing policy when it meets next month. The loonie has a distinctly firmer tone Tuesday as traders anticipate a widening in the interest rate gap between Canada and the US by as much as 100 basis points this evening. We could see a return to 0.98, although any surprise injection of broader support for the dollar could see the greenback rise to above parity. The loonie has capitulated against the euro in the past 2 weeks but should be able to correct somewhat if today’s Fed action helps to calm financial markets. It is dangerous to enter the market this evening as stops will give way too easily and the wise action would be to do nothing until tomorrow. Please keep these excellent posts coming. Thank you. Thank you very much for your posts. Had something of a mis-hap which constrained my typing ability (physically). But I am always up to date with what is going on. I am now back and look forward to posting on regular basis again. If you have any articles you may think of interest to our readers (if any of them are left lol) and you wish me to put them up on the blog, just let me know. Hopefully, this will be of help to you. I've recently created a free forex site that shows market reaction to previous economic news releases in the minutes and hours afterwards. For instance, if the USD Non Farm Payroll number is significantly better than expected, the USD will initally gain against the GBP and Euro in the minutes after the number is released, and then lose value shortly there after. We are just getting the hang of this blog thingie so be patient with us. We'll be adding our own insightful (or otherwise) views on the scheme of currency affairs in here. You had better sit on them.